We make it easy for businesses to accept payments and get paid. 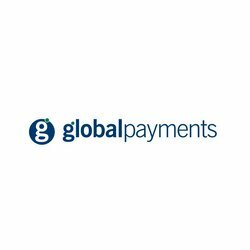 As one of the leading worldwide providers of payment technology services, we deliver innovative solutions driven by customer needs globally. Our technologies, partnerships and employee expertise enable us to provide a broad range of products and services that allow our customers to accept a wide range of payment types across a variety of distribution channels in many markets around the world. With over 50 years payments experience, we are proud of our long heritage in the industry. We could save you time and money by eliminating the middlemen and meeting all payments needs via one relationship. We can provide you with one facility that accepts a wide range of payments, including all the major card scheme brands. Our market leading card terminals come pre-loaded with a range of value-added products that enable you to seamlessly accept a wide range of payment methods, including contactless cards, smartphone payments, and all major card schemes. This puts you in complete control of your customers’ payment journey, however they want to pay. We are continually evolving our solutions to simplify the increasingly complex payments landscape and to give your business more value with access to the most cutting-edge payments technology available. The 2016/17 season proved to be a breakthrough year for prop Ellis Genge as he made a massive impact in his first full campaign at Leicester Tigers. A ball-carrying No8 in England age-group rugby, Genge was converted to loosehead prop and joined Tigers on loan from hometown club Bristol in the final months of the 2015/16 season before making the move more permanent. He quickly made a big impression, enjoying a first start in the final league game of 2015/16 at Bath and playing in the Premiership semi-final at Saracens before being called into the senior England squad. He joined club colleagues Dan Cole and Ben Youngs in the national squad and made his Test debut off the bench in a win against Wales at Twickenham before going on the summer tour to Australia. In 2016/17 he collected the supporters’ Young Player and Best Newcomer awards as he established himself in the Tigers front row and was nominated for the RPA Young Player award as well as earning a place in the England squad to tour Argentina and agreeing new contract terms at Leicester. Ellis collected a second Young Player award from supporters in 2017/18 while also being named in the Premiership Team of the Season despite missing the middle chunk of the year with a shoulder injury and then joined the England squad for the tour to South Africa. As a teenager, he won two AASE League titles with Hartpury College, alongside a Player of the Year award, and came through the Bristol academy to make his first-team debut in 2014/15, ending that year by playing all five games for England Under-20s in the World Junior Championships.